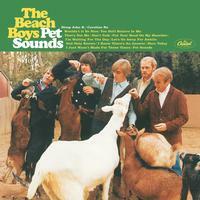 Pet Sounds, the Beach Boys’ definitive masterpiece remains one of the most influential albums in music history, forever changing the rules of rock n’ roll. Brian Wilson reached a new level in terms of composition, production and arrangement. The landmark recording was ranked as one of the greatest albums of all time by NME, Rolling Stone, Vibe Magazine, The Times, Q and Mojo. The band produced their psychedelic sound blending together their stunning vocal harmonies with vivid orchestration. Included were the classics, “Wouldn’t It Be Nice,” “God Only Knows,” “Caroline, No” and “Sloop John B.” This quintessential recording is now available as a pristine hi-res download, a must own! Includes both mono and stereo!